You might remember my endeavor of revealing everything worth knowing about the most important members of the Russian fashion pack that includes: Ulyana Sergeenko, Miroslava Duma and Elena Perminova. I already wrote a few articles articles about the pack master whom we all know to be Ulyana Sergeenko and now the time has come for her commander in chief, Miroslava Duma, to take the spotlight. What the Russian fashion pack, Russian Mafia or the Czarinas prove is how much the Russian fashion has evolved in the last few years and the fact that Russia has a great potential to become the next big thing in the fashion world. And while you might not know her name, you most definitely recognize her from being all over the internet during Fashion Week. Her full name is Miroslava Mikheeva Duma and she is married to businessman Alexei Mikheyev (from what I could find she’s been married with him since she was only 20 years old, but I couldn't find photos of the dude) and has a boy, named George who is three years now (being born in October 2010). Her education is not directly related to the world of fashion journalism in which she dwells today. She actually studied international business and business administration, graduating in 2008 from the Moscow State Institute of International Relations (also know as the MGIMO). Cute pictures of Miroslava pregnant and her holding her baby soon after giving birth to him! Just like Ulyana Sergeenko, Miroslava`s way into the fashion spotlight started after photos of her outfits appeared on popular fashion blogs like “The Sartorialist". But the similarities stop here. While Ulyana grew up in a poor village in Kazakhstan and became a wealthy woman after marrying her husband, insurance oligarch Danil Khachaturov (the owner of Russia’s largest insurance company “Rosgosstrakh”), Miroslava has always been living a privileged life. She was born in 1985 in Surgut, in the oil-rich Tyumen region. I discovered there are a lot of discrepancies online about her place of birth, with some people claiming that she was born in Moscow two years earlier and that she studied journalism, but Miroslava herself admitted these rumors are false and the “Wikipedia factor” of public editing is the reason why the rumors exist in the first place. She moved to Moscow with her parents in 1991, and there, her father, Vasily, became the head of Slavneft and then a senator, until 2011, in the Federation Council. The success of the website was so big that an Eastern European version is available now by license, and there are talks about English, Asian, French and Arabic versions (there’s a Buro Middle East already in English) and even Buro cafés and bars. That just proves that Miroslava seems to back up her style and beauty with some brains too. The initial reason for quitting the Harper's Bazaar gig was the fact that her position there prohibited her from appearing in other magazines and that’s why she decided to resign. She also felt constrained in her efforts to promote the charity fund she had founded, Peace Planet, considering it was difficult to ask other magazines to promote her charity events while she was associated with Harper's Bazaar. She frequently collaborates with OK Magazinee (Russia), Tatler and Glamour (Russia). Mira's best friend is Natasha Goldenberg who’s regarded as yet another Russian fashionista. Apparently Mira has a reputation around Moscow for having an amazing collection of Hermes handbags and Louis Vuitton scarves and it really doesn't come as a surprise. Mira Duna wearing a custom made Ulyana Sergeenko dress (I love how they seem to support each other by promoting their friends' work anytime they can). She is as big as a doll and she confessed to altering all her clothes or wearing kid’s clothes. She was employed by Symphony, a Dubai Mall as the face of their SS 2012 campaign alongside her friend, street style blogger Tommy Ton as the campaign photographer. Other collaborations include being the ambassador to Chanel's jewelry collection inspired by Coco's designs from 1932. She also worked with Louis Vuitton for the release of an ad campaign titled ‘Small is Beautiful’ to celebrate their new line of mini bags. She started in this commercial alongside blogger Elin Kling and Hanneli Mustaparta a model-turned-photographer. The video is a homage to all things cute - think macaroons, bicycles and Miroslava herself, who appears as a pixie on the open palm of Elin, proving that good things do come in small packages. She is a constant presence on street style blogs; she has a killer wardrobe and a truly creative and unique sense of style. I love the fact that she is not afraid to experiment with her clothes and even the most outrageous combinations of hers have been a success. As she confessed to Vogue Australia she has “an ability to mix very expensive and very cheap things in a way that they will look cool together. You just have to look in the mirror, experiment, see what works, what doesn’t, mix and match, and it’s like playing a puzzle really. I love mixing prints especially. My fashion style is experimental, because I’m still young and I’m experimenting. The 21st century is a mix of fashion trends – each decade before that was more distinctive, but now it’s a mix”. Pictures via her Instagram account! She always pushes the boundaries but never goes overboard, combining pieces that look unexpectedly good together. 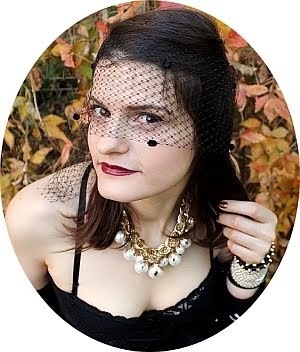 She truly has an eclectic style being able to mix glamorous pieces with quirky ones for a chic result. She seems like the kind of person that is paying attention to every single detail, from the color of her nails to her always changing hair style. She doesn’t do only one particular style being able to look cool, edgy and elegant at the same time but she does have a soft spot for necklaces and cozy Russian type sweaters and coats. She loves to combine color, prints, and textures, always styled with an unexpected accessory that gives her a playful look and makes you wonder and want more. Early in 2014, Mira has been involved in a huge controversy after Dasha Zhukova (Roman Abramovich's girlfriend) was pictured sitting on the mannequin of a half-naked black woman for a photoshoot with Buro 24/7. Labeled as racist and ignorant, the photo was taken off shortly after it was posted, and Miroslava apologized for the whole incident and explained: "We are against racism or gender inequality or anything that infringes upon anyone's rights. We love, respect and look up to people regardless of their race, gender or social status". The incident brought a lot of negative comments about Mira and old accusations of her being just a rich brat that is incapable of anything else but spending her father’s money on fabulous clothes, resurfaced. While this was obviously a big error in judgment, I don’t actually agree - she’s proven she can do more than just dress up. The infamous photo I was telling you about! For those of you who crave immediate fashion updates on this tiny Russian muse, you can always follow Mirosalva’s Duma official instagram account! 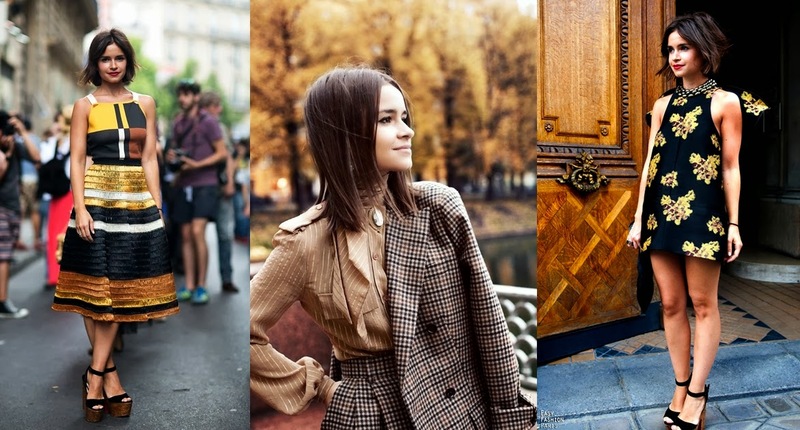 Let me know your thoughts about Miroslava Duma and her style! This was so interesting to read. I had no idea about them. What I like, is that they know how to STYLE the designs they wear. Some people just by the big names and don't have a clue how to style them. So awesome! Fabulous post! She is really stunning. Had not heard about her but now I am sure going to check about her. I think she looks taller than 5' 3" although next to other models she is short. If she is that height we covers it very well. Love her sense of style. I am reading the book Between Love and Honor and this post just got my interest more. This is a really great post dear! I never read so much good info about her in only one place! love her style! she´s perfect! She´s brillant!! love her, she just makes art with the fashion. She looks so pretty and natural. Regardless of what she wears, she always looks great. So amazing. The first picture is especially stunning. I adore the beautiful pink coat. Nice collection and designs. It would be great if you could include some for plus size women too. I wanted a plus size burgundy dress. Finally found one here. I feel there should be more such options to make it easy for us. Choose to buy clothes made of cotton. As it is soft, sweat absorption is very good but still cool, safe with young skin. In winter, moms can choose high quality children's suits, cotton costumes and felt to keep them warm. Nice collection and designs. It would be great if you could include some for plus size women too.